In this morning's deep dive, Axios health care editor Sam Baker and health care business reporter Bob Herman take on the thorny issue of drug prices. Get more of this news and insight delivered straight to your inbox every morning by signing up for Vitals, our health care newsletter, which will make you smarter, faster on the political, policy and business decisions that steer almost 20% of the American economy. "There’s so much variability, and that’s where all the money is being made," said Eric Pachman, a former pharmacy manager who co-founded the drug data firm 46brooklyn Research. How it works: Using publicly available data and common industry assumptions, Pachman built out a rough, simplified sketch of how money changes hands for a "typical" generic drug. "The system is vulnerable, and you can abuse it," said Mick Kolassa, a retired consultant who helped drug companies with pricing practices for almost 40 years. Drug prices are a big deal politically because they’re a big deal personally. Time after time, the issue is thrust back into the spotlight by virtue of giant price increases on drugs that aren’t new or innovative, but are still life-savers for millions of people. It happened when "pharma bro" Martin Shkreli bought Daraprim, a drug to treat AIDS, and raised the price by 5,000%. It happened when Mylan raised the price of the Epi-Pen by about 500% over 6 years. It has been happening for years with insulin, where prices keep creeping higher, adding up to increases of more than 200% for some products. The trade-off between costs and benefits still matters for new drugs, too. New leading-edge treatments, like immunotherapy for cancer, offer lifesaving promise that almost any family would want but few can afford. The debate is more complicated with new drugs, though, because we know their development costs are still on the books. That’s why big price hikes on old drugs, that people have depended on for decades, spark particularly fierce outrage. "It's really one of my greatest fears," Clayton McCook, who has to meet a $3,000 annual deductible to cover medication and supplies for his diabetic 10-year-old daughter, recently told Axios. "If insulin is $300 a vial now, what's it going to look like in 20 years when she's on her own?" A version of that scenario is already a reality for Nicole Smith-Holt. She lost her son Alec, 26, to diabetic ketoacidosis shortly after he began rationing insulin. Alec died less than a month after he was no longer eligible for his mother’s insurance plan. He was facing costs of $1,300 per month. Yes, but: "The fact that we can spread a price across thousands or millions of people does not justify a given price," Walid Gellad, a medical and pharmaceutical professor at the University of Pittsburgh, recently mused. By the numbers: In 2016, the U.S. spent a little less than $330 billion on the kind of drugs you pick up at a pharmacy, according to federal data. That's about 10% of all health care spending. The future is trending toward more expensive drugs. Highly complex "specialty" drugs (like those hepatitis treatments) make up less than 2% of all prescriptions, but are rapidly closing in on 50% of all spending. Americans don’t have much confidence in President Trump’s pledge to bring down drug prices, according to our latest Axios/SurveyMonkey poll. Overall, 61% of respondents said they’re not confident Trump will be able to follow through on his promise of cheaper drugs, while 37% said they’re very confident or somewhat confident that he’ll deliver. Unsurprisingly, the survey found a stark partisan divide: 80% of Republicans said they’re at least somewhat confident Trump will be able to reduce drug prices, while 93% of Democrats are confident he won’t. 1. Move the money around. These proposals could reduce what patients pay for drugs, but not necessarily what the health care system as a whole pays. 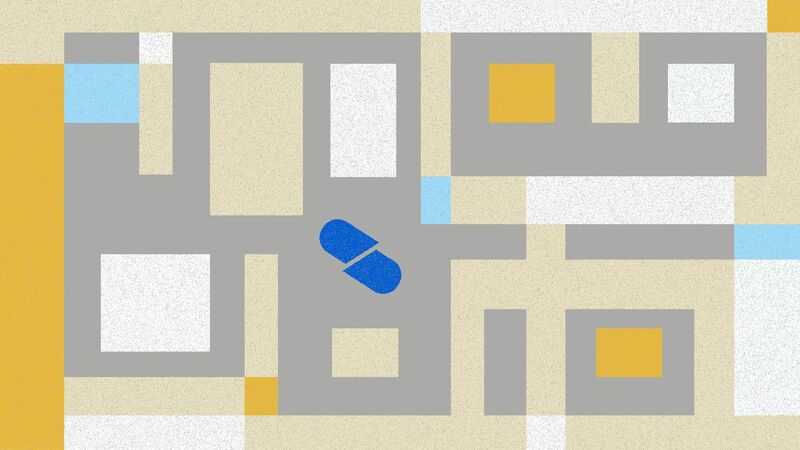 They would mostly rearrange existing discounts within the supply chain — like making pharmacy benefit managers, who negotiate discounts on behalf of insurers and employers, pass more of those savings on to patients at the pharmacy counter. 2. Increase competition. The Food and Drug Administration has been approving generic drugs at a breakneck pace and has prioritized areas that don’t have much competition (the first generic Epi-Pen is a prime example). Critics say pharmaceutical companies are unfairly blocking generic competitors by manipulating the patent process. There’s an argument, even among some conservatives, that government may need to step in to enforce more market competition. 3. Reduce the prices. The marquee policy here would be to give Medicare more power to negotiate — or simply to dictate — what it will pay for drugs. Democrats say that would not only lower costs for seniors and Medicare, but for everyone, because private insurance wouldn’t pay much more than Medicare does. Drug companies say it would dry up innovation and research. First, the administration proposed requiring pharmaceutical companies to include drugs’ sticker prices in their TV ads. The industry says it’s a violation of the First Amendment, and there’s a real debate over whether that information would be very useful. The pharmaceutical industry has spent enormously on lobbying in the age of Trump, Axios’ Caitlin Owens notes. In 2017 alone, PhRMA, the industry’s leading trade group, spent $25.8 million, according to the Center for Responsive Politics. So far in 2018, it's spent $21.8 million. That doesn’t include individual companies’ lobbying efforts. The industry is seeing "some of the most exciting innovation we’ve ever seen, and we need to make sure we have a health care system that continues to support those types of treatments," Robert Zirkelbach, an executive vice president at PhRMA, told Caitlin. They're on the World Health Organization's list of essential medicines.